Real Valladolid gave their Primera Division survival hopes a potentially vital boost with a 1-0 win over Espanyol. 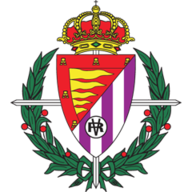 Real Valladolid gave their Primera Division survival hopes a potentially vital boost with a 1-0 win over Espanyol on Saturday evening. Antonio Rukavina gave Valladolid a first-half lead and from there, the match was more comfortable than the scoreline suggests - particularly after Espanyol had Luis Pizzi sent off with almost 20 minutes remaining. The win takes 18th-placed Valladolid level on points with Osasuna, who lost 2-0 at home to Celta Vigo earlier in the day. Valladolid coach Juan Ignacio Martinez had warned before the match that "we have to play for our lives", but they needed goalkeeper Jaime to block Sergio Garcia's first-minute shot and also field Pizzi's header in the early stages. Manucho went close with a header at the other end but the hosts made the breakthrough before long when Rukavina let fly from 25 yards and found the bottom corner. Javi Guerra was off target from similar distance but Espanyol went close to an equaliser when another Garcia effort was tipped over by Jaime. Victor Sanchez and Pizzi shot wide from outside the box before half-time, while another Manucho header failed to test goalkeeper Kiko Casilla. Jaime punched away Simao Sabrosa's corner early in the second half and it was some time after the interval before either side forged a worthwhile sight of goal. Guerra's long-range strike was off target but Valladolid did not have to worry as Pizzi's dismissal made the task of defending their lead easier. The midfielder was penalised for handball and shown a second yellow card, having been booked late in the first half for a foul on Carlos Pena. Team-mate Hector Moreno was cautioned for dissent after Pizzi's red card. Guerra saw a close-range header from Victor Perez's corner parried by Casilla and Oscar's shot was blocked by Juan Fuentes. 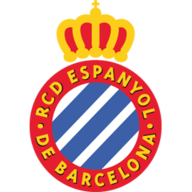 The only threat of an equaliser disappeared when Espanyol's Manuel Lanzarote could not find the target from 20 yards, and Valladolid could have added a second in stoppage time when Jeffren's corner was punched only half-clear by Casilla and Daniel Larsson shot over.